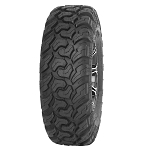 Spartacus is a new performance ATV tire specifically designed to conquer mud and other tough terrains. You can be confident because Spartacus' aggressive tread design delivers superior traction while the radial 8-ply rated carcass construction puts more rubber on the ground for a larger footprint and a smoother, more comfortable ride. Deep alternating sized lugs are designed to always have a lug scooping mud away for better traction. 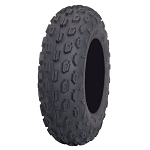 - GBC Spartacus ATV tires are sold individually. 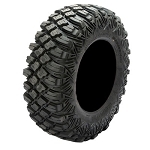 - In most cases our GBC Spartacus tires ship out within 1 business day! these things ride smooth as a Michelin on hard ground and dig like a excavator when duty calls! ordered tires and wheels on saturday and had them on that friday, just in time for the weekend ride. can't say enough about the set up, outstanding traction and the offset was perfect. nothing but good things to say about the products and service from pure offroad!! 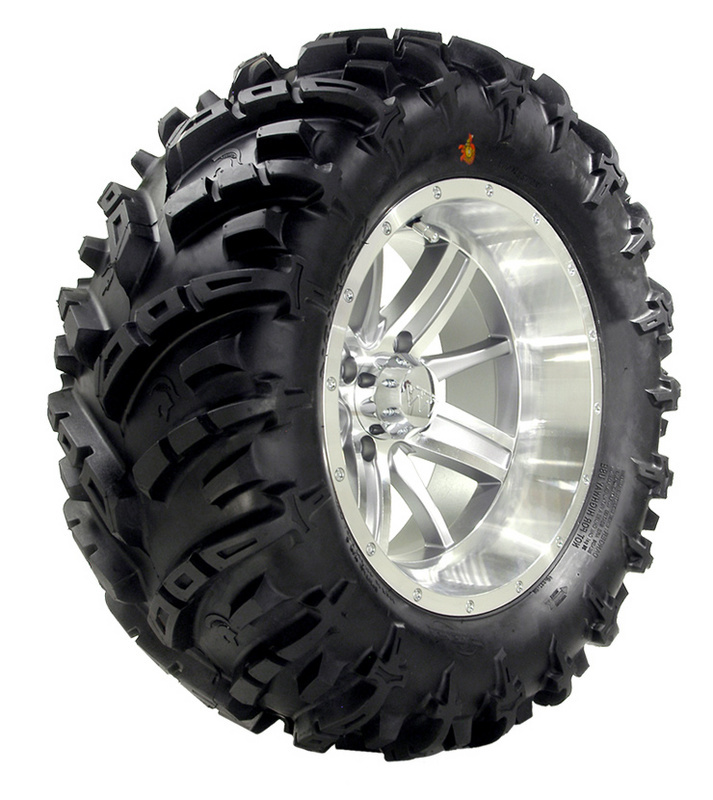 I ordered the GBC Spartacus tires for my 2013 Mule. These tires handle great. They work really good in the mud. The tires were shipped quickly and I am impressed with your Company. Thanks, Kenny B.
I internet ordered on Sunday and they were at my door Tuesday when I got home from work. Radials ride better than the tires that came on my Rhino. Great tread with deep lugs and excellent ground contact. Would recommend. Tires are great. We have a lot of rocky trails and clay Mudd here. They perform better then itp tires that most people run. Really impressed with the strength in the sidewall as well. Pureoffroad had them at my house the next day. Super fast service with no problems. i bought the radials because i have a big machine and radials were the way to go. I liked the look of the sparticus and went with them. I have yet to be dissapointed. I luxery compared to the stock tires. On the trail or in the mud, these tires perform beyond my expectations. 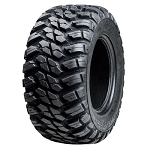 i recently purchased these tires for my sportsman 800, these tires were awesome in the mud,took them to brimestone,tenn and they are wicked in the mud, rocks and packed dirt.very impressed! i would recommend to anyone that does serious mudding!great tires and great deal from pure offroad. These tires are amazing and impressed me every time i touched mud. Once youre on the harder dirt they seemed to slip a little more but they are still worth the money. Great tire!! Good looking tire. Previous Dirt Devils cracked around the lugs,and started leaking, at only 2 years old. Want to see if the radials will hold up longer. Received order quickly. Just got these in the mail a few weeks ago and I am already impressed! They offer much better traction than the stock tires my quad came with. Our area has a variety of conditions, from rocky to sandy and these seem to provide great traction in all conditions. The ride is not as soft, however there is no fear of punctures or tears. Overall I'm very happy with the purchase so far! Q: Can you buy the wheels in the photo with the spartacus tires? I don't see them on your site? A: The rim in this picture is an old style that was discontinued years ago. They are no longer available. Q: are these Spartacus tires for the front? A: They can be used on the front or the rear. As long as you order the correct size for your vehicle. Q: Do these come in 26-8-12 and 26-10-12?